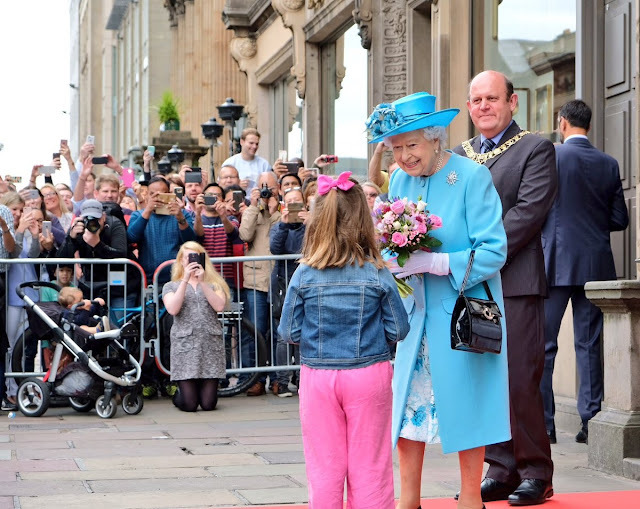 The Queen, Patron, visited the Royal Society of Edinburgh to present the Royal Medals. That's a wrap on Holyrood Week for 2017! I think Her Maj saved her best outfit of the week for last. And her best brooch of the week, too, for one can never go too wrong with Jardine Star. The Queen now has a bit more business to take care of in London before her upcoming Balmoral break, including one big event: next week's State Visit from Spain.